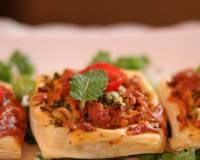 A flavourful party appetizer recipe which marries the Indian Chinese flavours into soft succulent paneer. If you love Indo- Chinese dishes then you must try these delicious Paneer Lollipops which are so simple to make and can be served at your next party or as an after school snack for your kids. Paneer marinated in a mix of sauces like sweet chilli sauce, soy sauce and szechuan sauce and then grilled or pan fried makes Indo Chinese Paneer Lollipop Recipe a quick and easy starter or appetizer recipe. 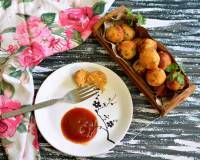 These hard to resist paneer lollipops are crunchy on the outside and soft on the inside. 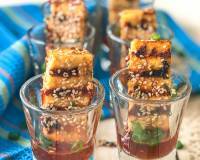 The paneer lollipops are rolled in sesame seeds to give a crunch and nutty flavour. Did You know that the Indo Chinese cuisine is just a couple of years old. It was originally created by Chinese migrants who had settled down in Kolkata. 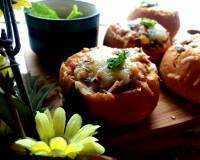 And they made fusion recipes to suit the Indian taste buds. Serve Indo Chinese Paneer Lollipop as an appetizer with your party meal made of Sweet & Spicy Vegetable Hong Kong Style Burnt Garlic Mushroom Fried Rice and Mushroom Manchurian Gravy. You can also serve Walnut Cranberry No Bake Cheesecake Recipe With Strawberries for dessert. To begin making Indo Chinese Paneer Lollipop Recipe first cut the paneer into 1/2 inch by 1 inch thick pieces and keep aside. You will get 6 pieces in 200 grams paneer block. In a big bowl add the sweet chilli sauce, schezwan sauce, soy sauce, corn flour, garlic and spring onions, salt to taste and mix well to combine. Once combined add the paneer pieces to the marinade and gently coat all the paneer with the marinade. Keep aside for fifteen minutes. After 15 minutes heat a grilling pan or a non stick pan and brush it with oil. 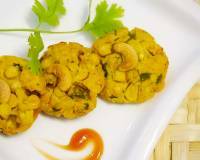 In a plate keep some corn flour and lightly dust each paneer pieces in corn flour and then place the pieces on the preheated grilling pan. 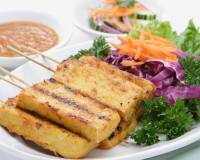 Cook the marinated paneer till you see a golden brown grill mark. Turn and cook on the other side as well till the paneer is cooked. Once done remove paneer onto a plate which has sesame seeds in it and roll into the seeds to coat the paneer. 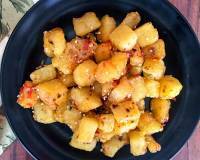 Prick a toothpick or a skewer on one end of the sesame seeds coated paneer. 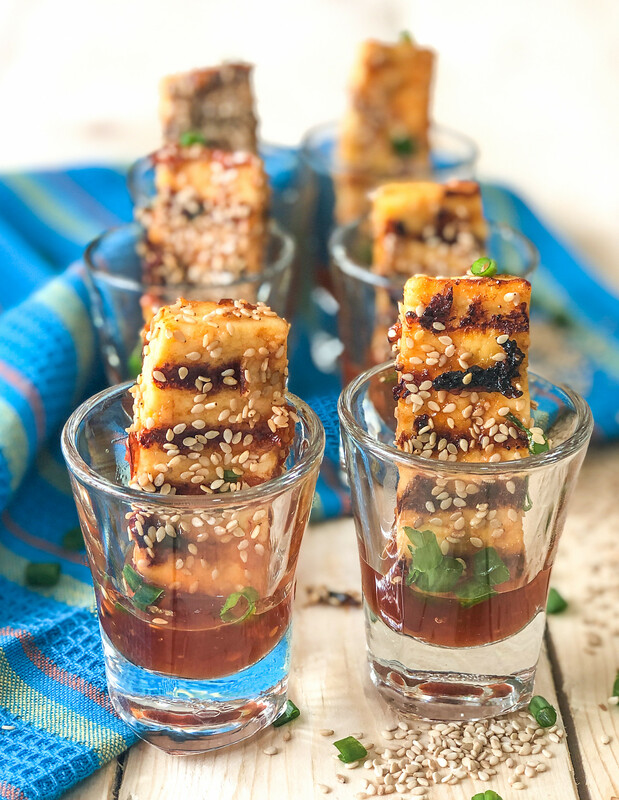 Arrange the Paneer lollipop in a shot glass filled with sweet chilli sauce or any other sauce of your choice. Garnish with chopped spring onions before serving. Serve Indo Chinese Paneer Lollipop as an appetizer with your part meal made of Sweet & Spicy Vegetable Hong Kong Style Burnt Garlic Mushroom Fried Rice and Mushroom Manchurian Gravy. You can also serve Walnut Cranberry No Bake Cheesecake Recipe With Strawberries for dessert.